This might be the best news for optimized all-natural skin care and the science behind it. Advanced research is the personal promise and dedication that comes with Skinceuticals Phyto Plus. Antioxidants are not only good for you to eat; they are exactly what your skin needs to heal itself from the outside in. With over 15 years in research and development it has been discovered that only 4 out of hundreds of bio-friendly antioxidants are good choices for topical application. These four antioxidants are designed to be absorbed through the epidermis and nourish the dermis, helping to restore collagen and elastin for optimal natural beauty. Continued research has shown that use of specific formulations of these key antioxidants have the most impact on the renewal of epidermal and dermal cells. These advanced formulations have a rejuvenating effect on cellular processes. In an ongoing drive to find the perfect bio friendly delivery system, researchers have developed this serum infused gel as the most advanced formulation of its kind. A true broad-spectrum antioxidant has finally been developed. In order to establish the key formulation for a broad-spectrum antioxidant, advanced clinical trials, were performed on hundreds of bio antioxidants to find just the right balance. Phyto Plus is an advanced formulation backed by incredible research. Each antioxidant has gone through intense clinical trials. Each of the key antioxidants were tested under real world conditions, with the exact concentrations that are found in the end product. Detailed investigation has taken time; honor and integrity are the core principals behind this amazing formula. Ethical considerations have resulted in the use of clinically proven concentrations of advanced antioxidant formulas, never more than usual and never less. Just what are the 4 key antioxidants revealed by years of research? Well known for its bio available health advantages, in topical application or diet, vitamin C in optimal concentrations, is readily absorbable. In addition to vitamin C, chemically known as L-ascorbic acid, additional clinical trials have revealed that vitamin E, chemically known as alpha-tocopherol, adds a synergistic advantage and increases epidermal absorption. These antioxidants have the capacity to reduce the effects of environmental stressors and to restore and rejuvenate the skin. It has been shown over and over again that sunscreen alone does not provide all the necessary protection from all types of environmental damage. Sunblock on average only filters about 55% of the damaging UV rays. Therefore, the use of a broad spectrum antioxidant will enhance the value of any refined sunscreen. The last two superior substances easily absorbed topically, antioxidants with superior synergistic advantages, are ferulic acid and phloretin. Used in balance with nature, these key ingredients lend themselves to multiple formulations based on skin types and environmental concerns. Every individual has a very unique DNA and as a result very unique skin characteristics. For the best results with any skin care regime, it is best to consult a skin care professional. The skin is the bodies’ first line of defense and the barrier between the external and internal environments. It is the largest organ of the body and is made up of millions of cells. The structural cellular proteins for the skin are collagen and elastin. Antioxidants help the skin repair itself and enable it to provide optimal protection for the human body. Science and nature in perfect balance; this is the promise of Skinceuticals Phyto Plus's years of development. The phenomenal serum infused gel application system technology allows the skin to absorb key antioxidants at customized concentrations. Rest assured that these skin care formulations are backed by science, use the highest grade ingredients and are proven through rigorous clinical studies to deliver on their promise. 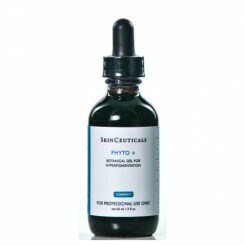 For a closer look at Phyto Plus, and the complete line of Skinceuticals products, click here. Skincare Solutions Store has a amazing selection of quality skincare products that will help your skin stay young, vibrant and healthy looking. Why Should You Buy Physician Grade Skin Care Products? New Products from Image Skincare! Love Smooth Skin? Try Image Body Spa Lotion!